A few days ago, one of our wireless keyboards stopped working and we needed to replace it. There are a bunch of other older keyboards lying around of course, but this was a perfect excuse to spend some time researching the more earth-friendly and sustainable computer keyboards in the market today. After a couple of quick searches, an immediate solution came up in the form of a bamboo wireless keyboard. Using bamboo as the primary building material for computer, tablet and mobile phone accessories is fantastic! Granted, current plastic versions are cheaper right now, but using bamboo instead has the potential to reduce our dependence on fossil fuel by reducing the overall consumption of plastic. 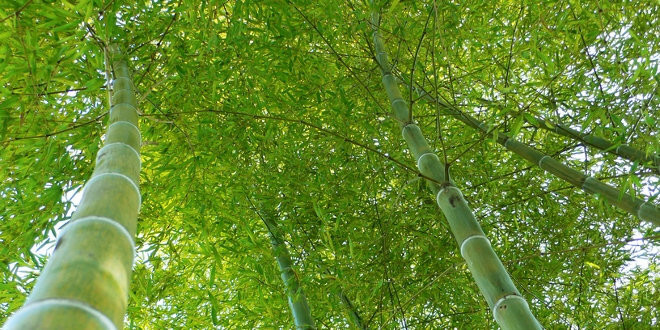 Why is bamboo so great for the environment? The company that, we feel, went the extra mile to design a line of sleek and functional products that can easily replace other, less eco-friendly electronics is iZen Bamboo. We also like the fact that this company commits to a sustainable future for our planet by donating 1% of profits to environmental organizations worldwide. Company's flagship product is a Bamboo Bluetooth Keyboard, recently improved from the originally released version. Sleeker and slimmer than the original version and hand-crafted out of mostly bamboo, this keyboard is renewable, recyclable, and won’t pile up in landfills. Its low profile, portable and natural design will make everyone who walks by stop and stare. The keyboard works great with Apple iPads, iPhones, Android tablets with Bluetooth, your Microsoft Windows PC computers with Bluetooth, or your Apple Macs with Bluetooth. And, best of all, it also works with your new Smart TV that has Bluetooth technology. Pair this keyboard with that new TV and place it on the living room coffee table and be the envy of your friends. If you are in the process of looking for computer accessories, we would strongly recommend that you at least consider iZen Bamboo products as an alternative to mainstream computer peripherals made of plastic! Posted by Buzz1, one of our dedicated staff members! Next Stressed Out At Work?